Stone coated steel shingles are lightweight, energy efficient, and machine stamped 26 gauge metal shingles with stone granules adhered to the surface, thus called “stone coated steel”. There are other coined and branded terms but stone coated steel is the generic terminology. These are almost exactly the same as the metal smooth shingles except for the stone granules on the surface and variation of shape. The stone granules give this material a more resemblance to concrete tile or a wood shake than the smooth reflective metal shingles. 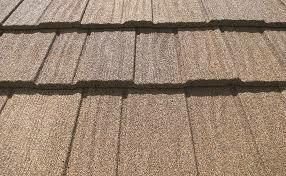 The pricing range for these systems is also very similar to the smooth metal shingles. These come in shingle, wood shake, barrel tile, and Mediterranean tile shapes. These are Class IV impact rated and may qualify for a discount with your insurance company. 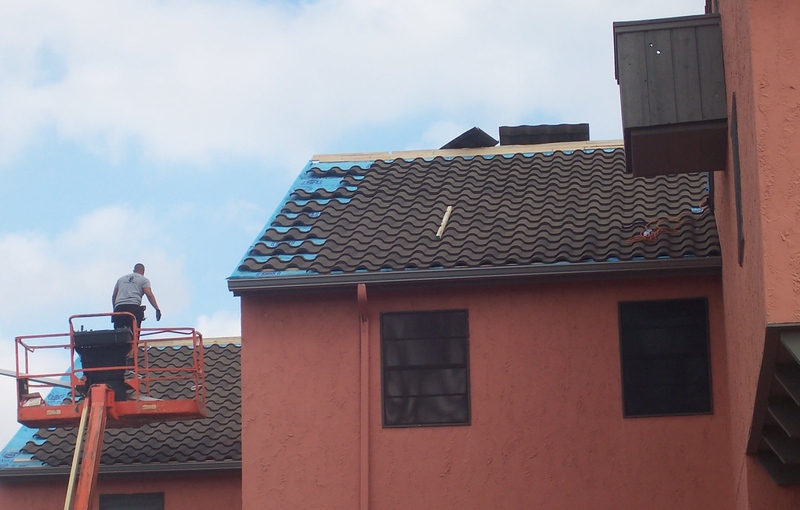 Many people love the aesthetics and appeal this roof type provides the homeowner. 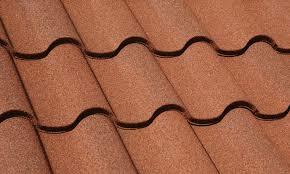 - Light weight compared to other roof types. - Wind warranty up to 120 mph.